Unconfirmed comments touch two nerves: the visa crisis issue, and Jonathan Pollard's freedom. American intelligence officials have linked the US visa crisis to Israeli espionage, Newsweek reports Tuesday, saying in closed conversations that "Israel crosses the line for espionage in the United States." 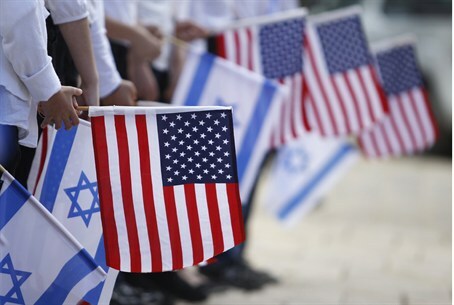 Intelligence officials are firmly against relieving the US visa crisis for Israelis, according to the outlet. The officials have claimed that Israel "is the only country which takes advantage of the security cooperation with the US to spy on it." The statements, if true, touch on two very delicate nerves for US-Israel relations: the visa crisis, and the life imprisonment of Jonathan Pollard. U.S. intelligence agencies, as well as the Israeli Embassy in the United States, did not respond to inquiries by IDF Radio. Visa Crisis: a Security Issue? Last month, US Secretary of State John Kerry announced an internal review into claims that hundreds of young Israelis were being barred from entering the US for political reasons. An initial investigation found that the rejection rate of visa applications for young Israelis ages 21-26 had doubled, from 16% in 2009 to 32% in 2014; Ambassador to Israel Dan Shapiro stated that the visa crisis is close to coming to an end several days later. Jonathan Pollard has recently been the subject of a high-profile campaign for his release. He is now in his 29th year of incarceration in a US jail for passing classified security-related information from America to Israel. He was arrested by FBI agents in 1985 and has been held ever since, including eight years in solitary confinement. Pollard was arrested on charges far less serious than those that landed other spies in jail, yet those spies served a few years's jail time at most, critics noted, slamming the US for "hypocrisy." Over 106 MKs attended a special Knesset session in December to protest US President Barack Obama's refusal to release the prisoner, and signed a petition urging the President to reconsider. Several top US officials, including Former Deputy National Security adviser Elliott Abrams, US Assistant Secretary of Defense during the Jonathan Pollard affair Lawrence Korb, and former CIA chief James Woolsey, have also called for Pollard to be released. Several senior senators have opposed freeing the longtime captive, despite the sharp criticism of Israeli politicians, and even top American officials over the US's harsh treatment of the case. Pollard has been described multiple times as a "hostage" of the US, a notion which has ramped up criticism against the White House over recent weeks; outrage has simmered further after a reported deal to release Pollard before the Passover holiday last month never materialized.